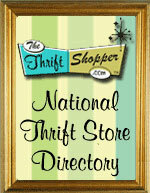 The Thrift Store Site Builder is the heart and soul of our service. With this set of website building tools, there isn't anything you can't do. From here you can point and click around to do most tasks. You can do all the basic things such as add pictures, edit text, add links to other pages, create tables etc. You can also add movies and flash animations. Designing couldn't be easier than this. In the case of an advanced user, there is a source button. This will give you full access to the HTML. You can add and edit HTML as needed. So if you are a beginner or a pro, this Site Builder will be everything you need.